In anticipation of the upcoming major remodel of the Flying Fish Cafe, more changes have been announced for Disney’s BoardWalk. Seashore Sweets will close on February 1st. It is located next door to Flying Fish Cafe, the old fashioned store sells cookies, salt water taffy, crisp rice treats, chocolates, candies, ice cream, and candy gifts. Also now permanently closing will be the Yard Arcade and ESPN retail store, located between The ESPN Club and the BoardWalk Bakery. Disney has not yet revealed what will be replacing the closed stores, but the location of Seashore Sweets would perhaps suggest it will be used to expand Flying Fish Cafe. That refurbishment is expected to be complete in November 2016. Harrison Ford will be unveiling some of the plans for upcoming Star Wars attractions at Disneyland and Walt Disney World in a TV special set to air Feb. 21. The Wonderful World of Disney special, which will be broadcast on Disney-owned ABC, will celebrate the 60-year legacy of the Disneyland theme park with participants including Elton John, Josh Gad, and Witney Carson. Fans who attended Disney’s D23 fan expo last August got a sneak preview of the 14-acre Star Wars additions planned for the parks in Anaheim, California and Orlando, Florida. The unnamed Star Wars world will be inhabited by humanoids, aliens, and droids, and “is one of the last ports before wild space,” according to Disney chairman and CEO Robert Iger. “Every store and restaurant will be operated by local inhabitants, making each experience deeply immersive. Nothing in the land will be out of character or stray from mythology. By the way, we’re currently casting for roles, so if you live on the Outer Rim there maybe a job for you,” he joked. Among the attractions will be a cantina, like the one seen in 1977’s original Star Wars, with familiar creatures from various parts of the series. It will also include a ride that allows guests to take the controls of Han Solo’s starship freighter the Millennium Falcon as it swoops into the center of an aerial battle between the First Order and the Resistance – the new film’s version of the Empire and the Rebellion. 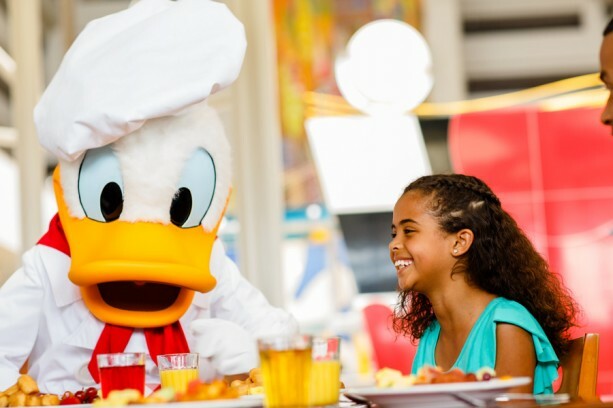 Walt Disney World has updated their dining website so that guests are now allowed to make changes to existing dining reservations. Previously, any changes to seating date/time, and number of guests had to be done over the phone or by cancelling and starting over. The new website functionality allows these to be changed online up to 20 minutes before the reservation. The new feature is currently only available on the website, and not on the My Disney Experience app. 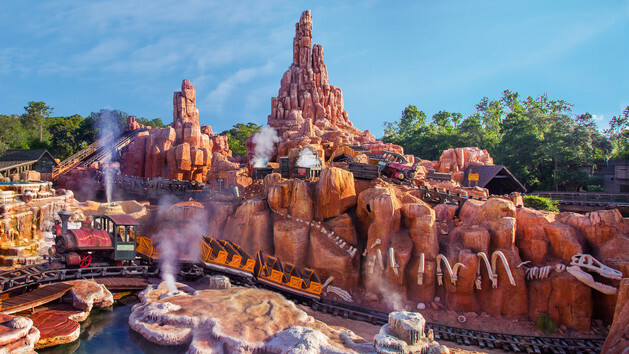 Big Thunder Mountain at the Magic Kingdom is scheduled to be closed for a nearly four month refurbishment. The closure is scheduled to begin on April 4th and will last through July 15th and will be reopening to guests on July 16th. This is the rollercoaster’s first major refurbishment since 2012, with a number of shorter refurbishments since then. Walt Disney World is overhauling the management structure at its resort. The reorganization will give general managers and executives authority over geographic locations – say, the Magic Kingdom’s Frontierland – rather than traditional categories such as merchandise or food and beverage. The restructuring began going into effect Thursday. Disneyland in California is not affected. A Disney spokeswoman said the reorganization will not include layoffs or added jobs. Eighteen managerial positions are becoming executive ones. The vice presidents overseeing the individual theme parks will remain the same, Disney said. The philosophy is to take a more holistic approach to management, focusing on the overall guest experience, Disney said. 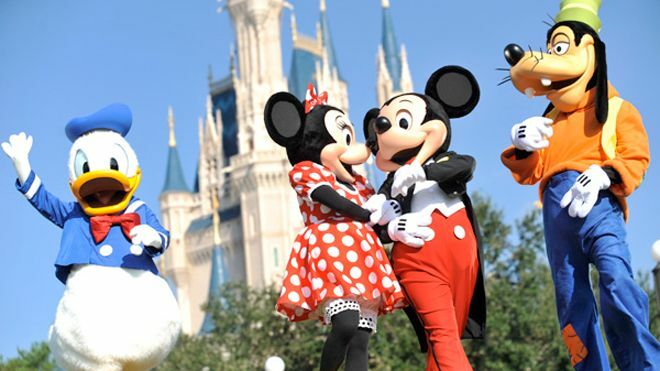 The restructuring will affect theme parks, hotels, Disney Springs and Disney Sports. Hotels under the new plan will each have one general manager. Previously one person sometimes oversaw multiple resorts. This is high season for golf in Florida, so getting a good deal for a day at the links may still be a few months away. Unless you’re looking to play at Walt Disney World Resort. 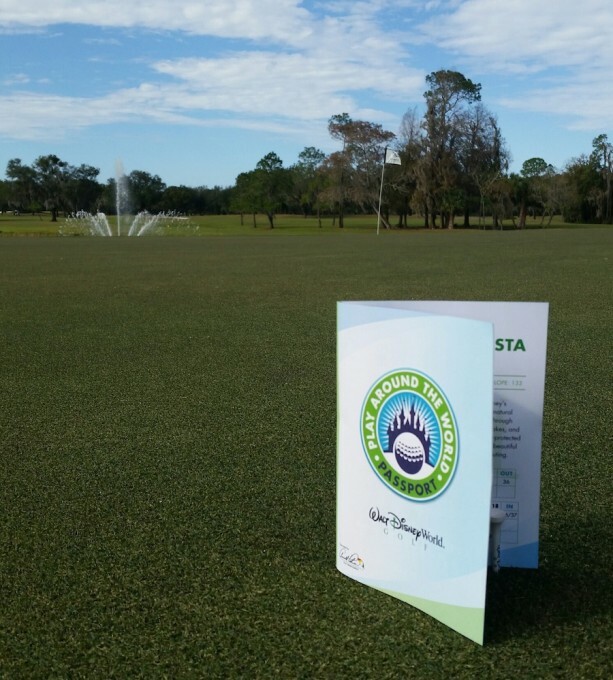 Disney Golf recently launched a new promotional deal called “Play Around the World” that offers golfers special rates on a four-round package. Here’s how it works: If you play a round of golf on each of our four Disney courses (Magnolia, Palm, Lake Buena Vista and Oak Trail), you can save up to 30 percent on your green fees. And you’ll get a souvenir “Disney Golf Passport” booklet. Just swing by any Disney golf course and be sure to play all four rounds within 30 days of your first round to qualify for the “Play Around the World” deal. And this is the perfect time to take advantage of this promotion. The Magnolia course recently reopened after being redesigned with powdery white sand bunkers and more forgiving fairways. Plus, Disney Golf has implemented several new features to help speed up play, such as fixed food and beverage locations instead of roving food and beverage carts, more visible drop zones on holes with water hazards, and signs throughout the course with tips from Jiminy Cricket on speeding up your pace of play. If you need to tune up your game before you hit the links, Disney Golf offers all-day and half-day golf clinics with Michael Schlager, our PGA Director of Instruction. To sign up for a clinic or the “Play Around the World” deal, visit www.golfwdw.com or call (407) 939-4653. 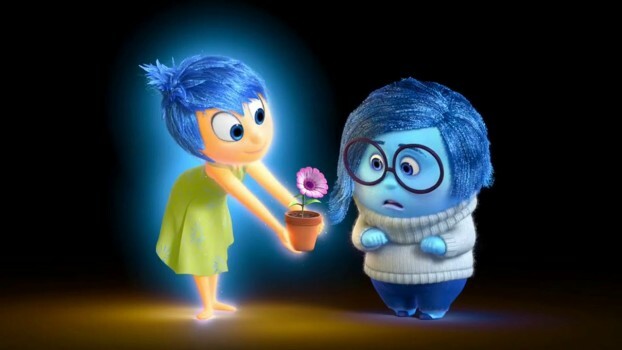 Joy and Sadness from Inside out are expected to be coming to Epcot’s Character Spot for a new meet and greet in February 2016. The characters from the Disney Pixar movie Inside Out are strongly rumored to begin appearing in the newly expanded Character Spot, using space from the former Innoventions West exhibit. 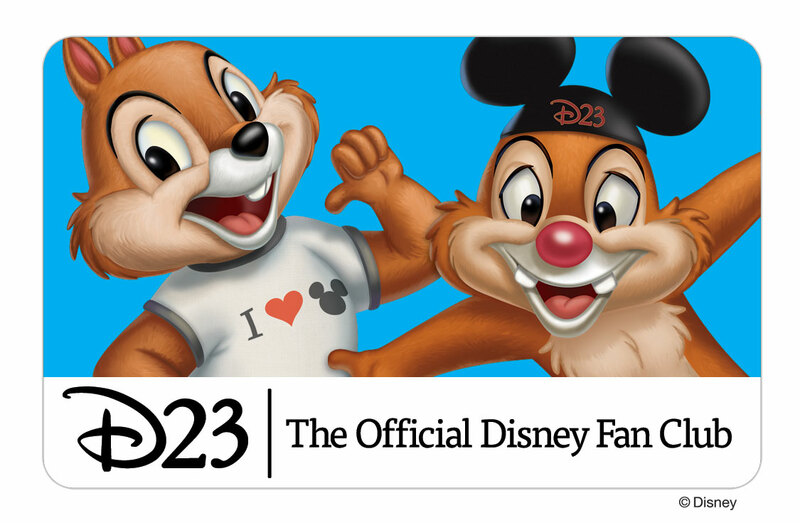 At home or on vacation, D23 Members receive exclusive discounts on shopping, entertainment, and Disney adventures when they present a D23 Membership Card or use special member-only online codes. In addition, D23 Members can take advantage of a host of ongoing and limited-time offers developed exclusively for them, including savings on tickets to the Walt Disney Family Museum in San Francisco; a merchandise discount at the Walt Disney Hometown Museum in Marceline, Mo. ; 40 percent off all online purchases of H2O Plus merchandise—the luxury skincare product available at Disney Parks; savings at UNIQLO online, including its exclusive line of Disney apparel; 10 percent off all purchases at RIDEMAKERZ®online and at all locations—including the Disneyland 60th Anniversary Limited-Edition RZ Rascar and Rod vehicles available at the Anaheim store; plus 23 percent off all merchandise online from SMS Audio, the official headphones of D23. Complete details on all D23 Member discounts and offers, as well as a full list of all the latest specials, can be found online at http://D23.com/Discounts. All offers are available to D23 Gold Members; D23 General Members receive access to a select number of discounts. At Walt Disney Animation Studios, the journey in making every film begins with research. In order to create the rich and engaging modern mammal metropolis of Zootopia and its wide variety of animal inhabitants, the filmmakers spent 18 months studying animals and their habitats. Their very first stop was Disney’s Animal Kingdom in March 2014, where they worked closely with the park’s team of animal care professionals. 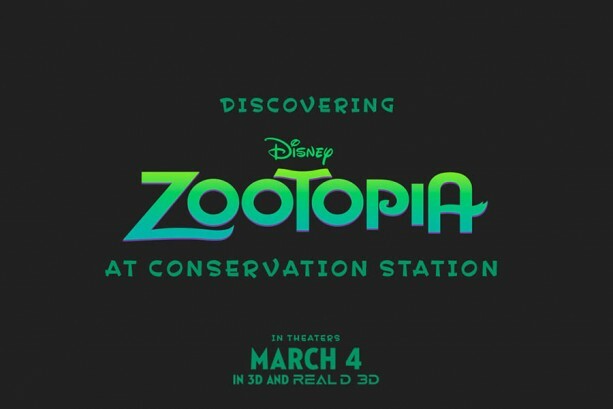 The ‘Zootopia’ exhibit opens January 29 inside Conservation Station at Rafiki’s Planet Watch. Beginning this week, you can also catch our special sneak preview of scenes from “Zootopia,” giving you an advance look at several clips from the upcoming film. The sneak peek opens as part of the One Man’s Dream attraction at Disney’s Hollywood Studios on Thursday, January 21, and comes to the Bug’s Life Theater at Disney California Adventurepark this Friday, January 22. Walt Disney Animation Studios’ “Zootopia,” directed by Byron Howard (“Tangled,” “Bolt”) and Rich Moore (“Wreck-It Ralph,” “The Simpsons”) and co-directed by Jared Bush (“Penn Zero: Part-Time Hero”), opens in theaters on March 4 in 3D. Disney has postponed the release date for the next installment of Star Wars. Star Wars: Episode VIII was originally set to come out on May 26, 2017. Disney announced on Wednesday that the movie will instead be coming out the following holiday season on Dec. 15. That will be almost exactly two years after the release of Star Wars: The Force Awakens, which shattered numerous box office records and became the top-selling film of all time in the U.S. and Canada within just a few weeks. Written and directed by Rian Johnson, Star Wars: Episode VIII is currently in preproduction and will begin principal photography in London next month. Kathleen Kennedy and Ram Bergman will produce and J.J. Abrams, Jason McGatlin, and Tom Karnowski will executive produce.